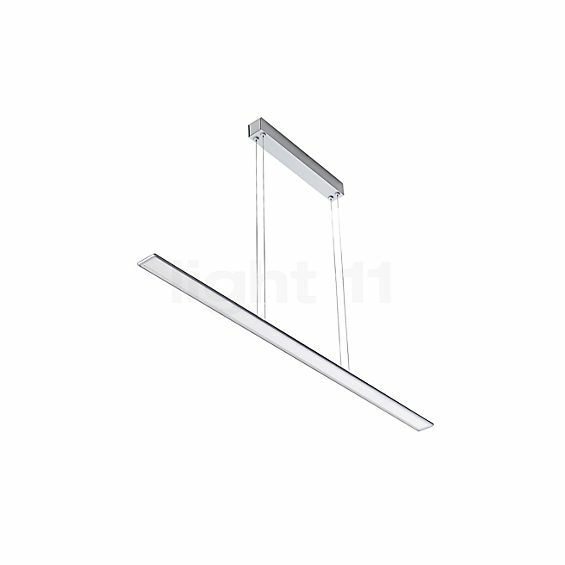 The Bruck Horizon 1200 Pendant Light LED impresses by its particularly slim body that is only 0.8 cm high. 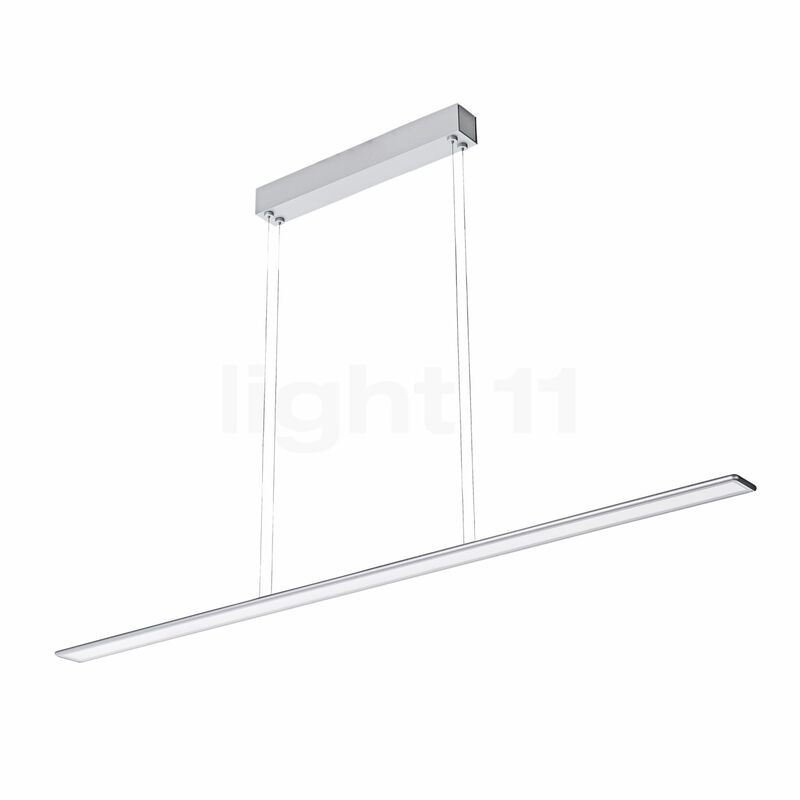 This means that it is one of the slimmest pendant lights that are currently available. The plain elegance of the Horizon 1200 Pendant Light LED from the German high-quality manufacturer Bruck is further emphasised by the fine surface finishes. The pendant lamp is available in several tasteful variants, by means of which the Horizon blends with a variety of different interior designs. The elegant pendant light with a timeless look is suspended from the ceiling by means of four cables. It becomes a breathtaking eye-catcher that captivates by the combination of shape and lighting effect. Below a plastic diffuser at the bottom side a slim LED band is located which allows the Bruck Horizon 1200 Pendant Light LED to completely direct its light downwards. Thanks to a length of 1.2 m, the pendant light is also able to supply large tables with sufficient zone lighting. This is produced by LEDs that consume only very little energy. Moreover the pendant lamp from Bruck offers a particularity: its light intensity may be controlled by means of a trailing edge dimmer. The Horizon 1200 Pendant Light LED also convinces in terms of the colour rendering. With a CRI value of 90, the pendant light produces a light that is almost as brilliant as the light offered by an incandescent lamp. Tell other customers and us about your experiences with the Horizon 1200 Pendant Light LED ! The Bruck Horizon 1200 Pendant Light LED is suitable for use above tables. Here, it does not matter whether it is used above a dining table or a desk. In both cases, the Horizon 1200 PD from Bruck suffuses the tabletop with pleasant light that eliminates disturbing shadows and deliciously highlights the food and drinks. At the same time, the pendant lamp amazes the viewer with its slim look and a modern flair.